Under the bill, adults who choose not to own a firearm would be required to register their name, address, Social Security Number, and driver’s license number with the state. “There is a legitimate government interest in knowing who is not prepared to defend the state should they be asked to do so,” Maslack says. Vermont already boasts a high rate of gun ownership along with the least restrictive laws of any state. 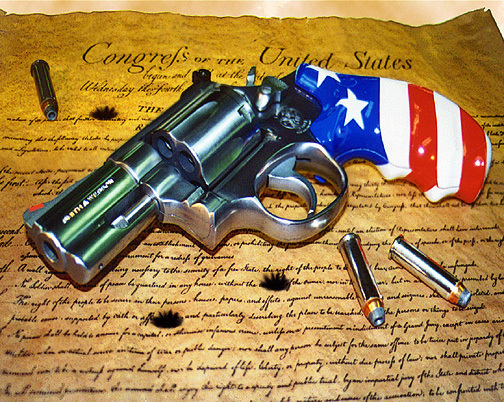 It’s currently the only state that allows a citizen to carry a concealed firearm without a permit. This combination of plenty of guns and few laws regulating them has resulted in a crime rate that is the third lowest in the nation. “America is at that awkward stage. It’s too late to work within the system, but too early to shoot the bastards.” This makes sense! There is no reason why gun owners should have to pay taxes to support police protection for people not wanting to own guns. Let them contribute their fair share and pay their own way. Sounds reasonable to me! Non-gun owners require more police to protect them and this fee should go to paying for their defense!